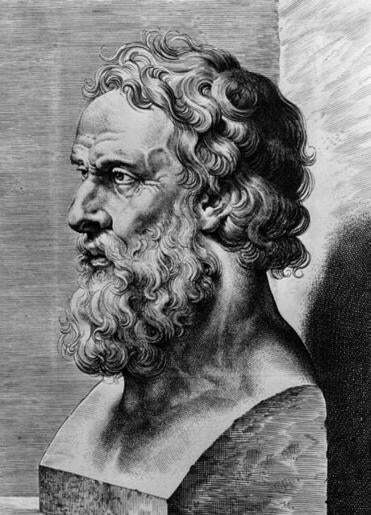 Plato argued that democracies produce citizens of unruly passion and pervasive ignorance, manipulated by greedy elites and mendacious politicians. In short, the rule of Big Money and its attendant culture of cupidity and mendacity have led to our grand moment of spiritual blackout. The founder of Western philosophy, Plato, foresaw this scenario. In “The Republic” — history’s most profound critique of democratic regimes — Plato argues that democracies produce citizens of unruly passion and pervasive ignorance, manipulated by greedy elites and mendacious politicians. The result is tyranny — the rule of a strong man driven by appetites, corruption, and secrecy. There is no doubt that Trump meets this description more so than Clinton. Yet neoliberals like Clinton bear some responsibility for the anger and anguish of Trump’s followers — especially those white male working and middle-class citizens who have been devastated by neoliberal economic policies of deregulation, NAFTA, and Wall Street protection. The vicious xenophobia toward women, Mexicans, the disabled, gays, Muslims, Jews, and blacks are the sole fault of the Trump campaign. Yet the rule of Big Money in capitalist USA downplays the catastrophic effects of global warming, of poverty, and of drones killing innocent people — all the common ground of Trump and Clinton. For over a century, the best response to Plato’s critique of democracy has been John Dewey’s claim that precious and fragile democratic experiments must put a premium on democratic statecraft (public accountability, protection of rights and liberties, as well as personal responsibility, embedded in a fair rule of law) and especially on democratic soulcraft (integrity, empathy, and a mature sense of history). For Plato, democratic regimes collapse owing to the slavish souls of citizens driven by hedonism and narcissism, mendacity and venality. Dewey replies that this kind of spiritual blackout can be overcome by robust democratic education and courageous exemplars grounded in the spread of critical intelligence, moral compassion, and historical humility. The 2016 election presents a dangerous question as to whether Dewey’s challenge to Plato’s critique can be met. Yet Clinton is not a strong agent for Dewey’s response. There is no doubt that if she becomes the first woman president of the United States — though I prefer Jill Stein, of the Green Party — Clinton will be smart, even brilliant, in office. But like her predecessor, Barack Obama, she promotes the same neoliberal policies that increase inequality and racial polarization that will produce the next Trump. More important, she embraces Trump-like figures abroad, be they in Saudi Arabia, Honduras, Israel, or Syria — figures of ugly xenophobia and militaristic policies. The same self-righteous neoliberal soulcraft of smartness, dollars, and bombs lands us even deeper in our spiritual blackout. Instead we need a democratic soulcraft of wisdom, justice, and peace — the dreams of courageous freedom fighters like Martin Luther King Jr., Abraham Joshua Heschel, Edward Said, and Dorothy Day. These dreams now lie dormant at this bleak moment, but spiritual and democratic awakenings are afoot among the ripe ones, especially those in the younger generation. Cornel West is a teacher and philosopher.